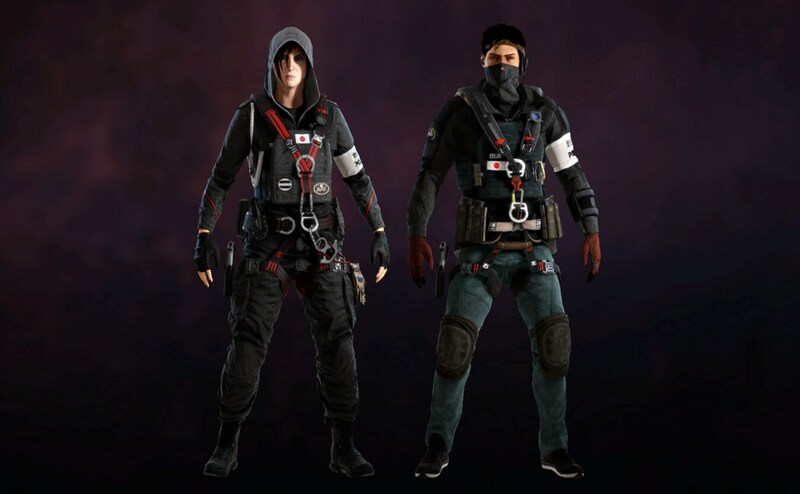 With Operation Red Crow, Team Rainbow recruits two of S.A.T.’s finest: Echo and Hibana. Born and raised in Nagoya, Japan, Imagawa is an expert at gaining entry in high risk areas. A skilled martial artist, she joined the National Police Academy when she was 18 years old. Nicknamed Hibana due to her explosive leadership on the field, she acquired a rare tactical versatility while training with the FBI SWAT and GIGN. A team player and expert at onrush tactics, she was recruited by the Aichi Prefectural Police Department Special Unit. Partaking in a Special Operation conference in Jordan, Imagawa met Operator Jordan Trace, a pioneer in Brimstone BC-3 Exothermic experiments. She collaborated with him to develop the “X-KAIROS,” a 40 mm caliber launcher. The X-KAIROS fires explosive pellets that can be detonated simultaneously from a distance. Deliver innovative assaults by creating lines of sights, or new pathways. Known as a natural prodigy in robotics, Masaru Enatsu grew up in Suginami City, Tokyo, the birthplace of several animation studios and technology companies. Enticed to test his devices on the field, he joined the National Police Academy. Specialized in Recon operations, he was recruited by the Tokyo Metropolitan Police Department Special Unit before transferring to the Aichi Unit. Wanting to circumvent ranged weapon limitations, Echo crafted Yokai, an unmanned hovering vehicle. Equipped with an acoustic hailing device, this signature drone can fire ultrasonic bursts that disorient all targets in a given perimeter. Yokai also transmits a video feed to Echo, who keeps his immediate perimeter secure. Embrace the power of technology and embody a turret Defender who can both hold up the siege and support roamers. Team Rainbow has been called to neutralize a Yakuza war brewing high above the streets of Nagoya, Japan. Two of the S.A.T. 's brightest Operators have been mobilized to provide their unique insight and tactical expertise. Perched on top of Skyscraper, you will explore refined works of Japanese architecture inside a dangerous mansion. Be prepared for vertiginous rappels in the haze of the morning sun, where modernity and tradition meet. The new Skyscraper map is available for free for all players. There are five Red Crow Signature skins available in the shop for Operation Red Crow. Make sure you do not miss out on the opportunity to flash these new designs while rappelling in Skyscraper. We are happy to announce a new customization series for this season with the Elite sets. Each set includes a matching Uniform and Headgear, an Operator Card, a Charm, an Operator Name, and a Signature Victory Animation. The first Operators to receive the honors are Kapkan, Sledge and Thermite. Join the Elite with the Vympel, L Detachment and Vintage Bureau sets. Make sure to leave your mark on history with these polished Operator-tailored packages. We are glad to announce a polishing of the destruction tool that will improve the physics quality and provide realistic impulses with minimal performance impact. Using our improved tool, our team was able to reconfigure the destruction parameters seen in-game. The impact zone and fragility sphere are now weapon-specific: stronger calibers will create bigger bullet holes and generate larger impulses. As you can see in the asset above, there is a fairly significant change in the way bullets interact with the destructible environment based on their caliber. Battle Dress Uniforms are new ways to customize the way your Operators look. We are kicking things off with two Season Pass Year 1 exclusive uniforms for the new SAT Operators, Hibana and Echo. Be sure to pick up the Year 1 Season Pass before these outfits are gone! We will also be introducing Battle Dress Uniforms for Capitao, Caveira, Ash, Sledge, Thatcher, Mute, and Smoke that will be available through the in-game shop for all. When a player is shooting at an opponent’s chest, there is a good chance they will hit the arms and that means that they will need one or two more bullets to kill the operator. We are now making shots that land on arms more consistent with the damage dealt to the body. By making this change the game should feel more consistent every time you try to spray bullets at the chest area. Before it was set at 0.75x multiplier and now it is set at 1x damage for limbs. We have changed the neck multiplier from 2.5X damage to the same multiplier as the head. Basically, that means that a shot that lands in the neck will now count as a headshot. When a player would land a shot in the neck previously, the character would play the same animation as a headshot and the blood splatter would be the large one. That led players to believe that they hit a head shot when it wasn’t. It even led some players to think it was bad hit registration when they were actually neck shots. We are making that change so that the game will feel more consistent. With the same logic of consistency, we have also reduced the headshot multiplier for shotguns. As you may or may not know, landing a headshot with a shotgun does not mean that a player will kill instantly their opponent. Shotguns do not have the same multipliers as normal guns. They were set at 1.5x multiplier, but we have reduced this to 1x. Since the shotgun spray is random, that made them feel a little more inconsistent, sometimes needing three shots at a certain distance, other times needing two or even one because you hit the head. This will ensure that at a certain distance, players will more often need the same amount of shots to take their opponent down. After a panel at the International Advanced Firearm (IAF) Conference in Bucharest, Romania, the Spestnaz Operator Alexsandr Senaviev presented the mandate to eradicate the ACOG on the SMG-11. The ten counter-terrorism units present (GIGN, Spetsnaz, GSG-9, JTF-2, BOPE, S.A.S, FBI SWAT, S.A.T, and NAVY SEAL) agreed to sign a lease against its use. Any Operator who defies this convention will be sanctioned appropriately. Caveira’s Luison damage curve has been changed as follows. Caveira’s win rate is a bit too low for our liking, and her pick rate both in casual and high level ranked games shows that she’s perceived as too weak. After looking more into her weapon stats, we believe the fall off damage on her Luison was so harsh that a small (and hard to evaluate) distance change made too much of a difference. We’ve reduced the fall off damage so that her Luison remains very deadly (DBNO in 2 torso shots) till around 8m. Blackbeard’s MK17CQB damage has been changed as follow. His damage was abnormally high, especially considering how strong it is combined to the rifle shield. Capitao’s Parafal damage has been changed as seen below, his damage was also too high compared to similar automatic rifles which unbalanced his weapon choices. GSG9 reserves barbwires reduced to 2 (from 3). TL; DR: In a past update, we added players’ seniority into our MMR system, but it shifted their ranking inaccurately (high skill discrepancy within the same rank). We are moving to a more transparent system where your MMR is a direct representation of your skill, which should correct some of the inaccuracies in the past. A hard reset of your ranks and access to your MMR evolution will help you assess your rank better against other players. A few months ago, we updated our ranking system to take player experience into account. This means that veteran players’ MMR would artificially go up with time, up to a certain limit. The goal was to let new players start in a smoother environment. The problem with this system is that the rank we obtained was not an accurate representation of your skill (in some extreme and rare cases, players with an actual skill equivalent to a Silver player could achieve a ranking as high as Platinum if they played long enough). While there is a correlation between the time spent in the game and a player’s ability to win his games, this is mostly true at early stages of the games. A player with 10 matches will most likely be at a disadvantage when facing an opponent with 50 matches, but this might not be the case for someone who played 500 matches vs 1000 matches. Yes, there is a high skill cap in this game that allows you to progress when you invest enough time and practice, but the issue is much more noticeable in terms of skill floor (because if all defenders are in the hostage room, it’s the perfect occasion for a Fuze charge, right?). That’s why we are still implementing an onboarding system in Casual whose impact will disappear after a certain number of games, while keeping the Ranked experience entirely skill-based. What do we mean when we talk about skill? Comparing two teams’ skills gives you the chances of winning for each. Thus, your skill is a measure of your ability to make your team win games. We want to stress that it does not take KDA into consideration. While having a high number of kills certainly helps, we consider that a good Siege player is more than that and we don’t want to shift our model towards highly lethal players (who will naturally win more and therefore rank up more easily). Giving great calls while in cams, a solid jammer set-up, a good Thermite charge or a well-placed reinforcement can change the outcome of a game. This means that if you want to rank up, you have to do everything you can to help your team wins, rather than just rushing to kill that Rook your teammates downed. The data we gathered during previous months show that we have an accurate estimation of our players’ skill. We believe that using this skill directly to rank and match our players is more relevant to provide a competitive and fair gaming experience. Knowing what skill to expect from your opponent will also help you have a better understanding of why your MMR decreases/increases by X points. Remember that it doesn’t mean that you won’t be matched against people of different ranks (due to matchmaking constraints), but it means that the ranks of your opponents and teammates should give you a proper idea of other players’ actual skill. We’ve updated the weekly challenges to be more difficult than they have been in the past. We found that they were fairly easy to complete, so we have tweaked the difficulty of the in-game weekly challenges to be more challenging. This also comes with an increase of 500 Renown that you can earn. Since Rainbow Six Siege’s launch, we’ve observed that attacking can be harsher for new players than defending. While both sides require planning and execution, attacking is particularly demanding in terms of communication and synchronisation. One of the impacts of this can be seen in win rates at different skill levels: defenders tend to win more at low levels, but this changes as the player level rises. Because of that, we’ve decided to test having different round timers in casual and ranked. In Casual, the action phase will remain as they currently are with a 4 minute timer. We want everyone to feel at ease while learning how to attack efficiently. In Ranked, we are implementing a 3 minute timer. Players in Ranked generally have more experience, and we think having a shorter timer could lead to more meaningful attacking phases where choices matter even more. We want to be 100% transparent on the fact that this is a test. While we think there’s a good chance for this test to succeed, we’ll be looking closely at several things. The Ranked playlist attractiveness is very important to us: we don’t want to discourage players from trying Ranked. The global balancing of the game at different levels is also crucial: perfect balancing is impossible, but we always want you to feel like you have a good chance of winning whichever side you’re playing. And of course, your feedback will be invaluable. The objective of any change or update is always to provide a better experience. Please let us know what you think on our forums or official sub-reddit! FIXED – Invulnerable state after an Operator is DBNO is too long. FIXED – It is possible to become invisible, or appear as an Operator on the enemy team. 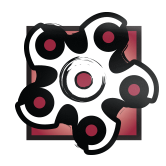 FIXED – Nitro Cell does not cause damage if placed on a metal beam. FIXED – PMM Makarov does not have as many spare magazines as intended. FIXED – Impact grenades do not properly destroy both sides of some walls. FIXED – Additional negative points are not granted when killing a DBNO teammate. FIXED – Operators are not holding their sidearms properly. FIXED – Rubber banding has been occurring when moving through breached walls. FIXED – Shield Operators are able to clip through destructible walls and barricades. FIXED – Players are not informed of the status of their Renown penalty after abandoning a match. FIXED – Physics on the destruction of photo frames/paintings on walls are not aligned. FIXED – Throwing back grenades has a skewed trajectory. FIXED – Wood debris gets stuck on the edges of destructible surfaces. 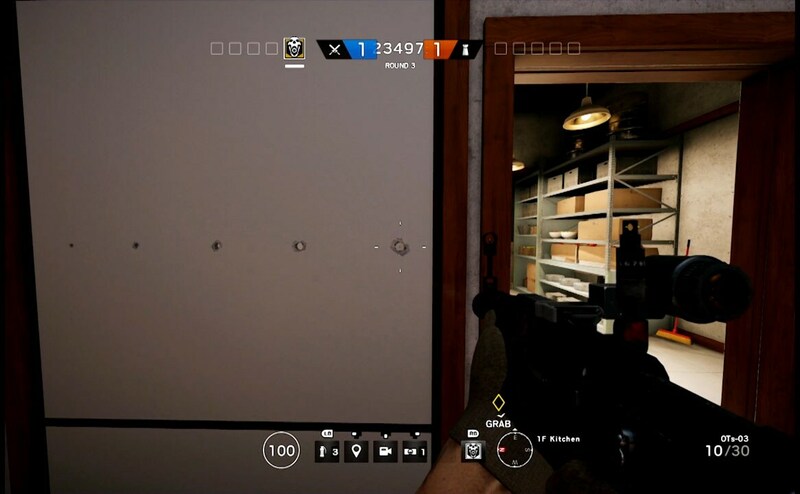 FIXED – Players are not able to plant the defuser after passing from "2F Cash Room" to "2F CCTV Room" by breaching the destructible wall. 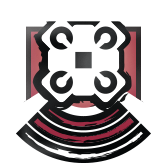 FIXED – Attackers that plant the defuser on a reinforced trap door/hatch will lose if the hatch is destroyed. FIXED – Players sometimes stop securing/defending the objective when they hit the ground after falling. FIXED – When the point is contested and nearly complete, if a Defender kills the final Attacker, the Attackers win. FIXED – The Hostage is able to be grabbed through a wall that is not large enough to be vaulted through. FIXED – Players earn “Dedicated Operator” experience when they kill the hostage or themselves. FIXED – The "All Bombs are defused" message is displayed when only one Bomb has been defused. FIXED – German Flag charm is mirrored. FIXED – Operator models become black when HBAO+ is turned on. FIXED – Claymores do not render when a player is too far away. FIXED – The word “Server” was not properly localized for all languages. FIXED – Hovering over and clicking on a “Searching for Player” slot in matchmaking will display your profile picture with another player’s Win/Loss and Kill/Death. FIXED – Support Mode text overlaps the vote kick messages in the top left corner of the HUD. FIXED – Text chat displays the enemy team’s chat when in the lobby/loading screen. FIXED – Infinite loading screen occurs after switching profiles with a profile not linked to the Ubisoft Club app. FIXED – Firing with the rifle shield active with a muzzle break leads to a visual glitch. FIXED – Exothermic charges placed on a partially destroyed section of a reinforced wall will not destroy both walls. FIXED – Destroying Bandit’s gadget while he is in the process of picking it up will prevent Bandit from being able to draw his weapon, crouch, or prone. FIXED – Destroying a barricade with Ash’s Breaching Round does not destroy Kapkan’s EDD. FIXED – Changing keybinds for the Primary Gadget will cause an issue in the Observational tool. FIXED – The amount of crossbow bolts remaining does not always correspond with the available amount on the spectator camera. FIXED – Blue smoke can be seen through when shooting weapons under certain conditions. FIXED – Interrogating an enemy that was put in a DBNO state by a teammate will not award them with the kill assist. FIXED – Toggling Stealth stance “ON” while switching from primary to secondary weapons prevents Caveira from switching back to her primary weapon. FIXED – Activating Stealth stance and sprinting immediately will cancel stealth. FIXED – The Black Eye cameras do not have collision with flowers. FIXED – Black Eye camera floats when thrown onto the pillars in 1F Lobby on Bank. FIXED – There is no outline for gadgets detected using her device. FIXED – Plants/Trees can be destroyed in a manner that blocked player movements. FIXED – Throwable gadgets float on bookshelves when the bottom part is destroyed. FIXED – Light coming from outside the building will blind/hinder players inside. FIXED – Operator can clip through walls if they enter a DBNO state next to a wall. FIXED – Players are able to enter the bottom shelves of the bar on the first floor. FIXED – Drones are able to pass through the wall in 1F Bar. FIXED – Deployable shield placed in the doorway between B Escape Tunnel and B Arsenal Room cannot be vaulted over. FIXED – Black Eye cameras do not stick to some surfaces properly during Preparation Phase. FIXED – File cabinet disappears when looking through the Control Room window from the other building. FIXED – Attackers spawn on the Shooting Range in mid-air. FIXED – Drones are able to see through the ceiling in CC2F Cafeteria. FIXED – Missing texture on blue shipping containers. FIXED – Defenders are able to kill Attackers as they spawn at the Shooting Range. FIXED – Missing texture in 1F Dining Room, which allows line of sight to 2F Corridor. FIXED – Missing texture in 1F Piano Lounge, providing line of sight to 2F Corridor. FIXED – TV Room Ceiling is not capped, providing line of sight to an exterior ladder. FIXED – Attackers are able to rappel under the stairs platform in EXT Side Stairs Alley. FIXED – Red computer screen remains after the computer has been destroyed. FIXED – Drones are able to pass through a wall on the window/skylight at EXT Low Roof. FIXED – Drones are able to clip through wall the stairs in 1F Main Stairway. FIXED – Exothermic Charge does not fully breach wall in Archives. FIXED – Level of detail issue with the EXT Emergency Exit door frame. FIXED – Drones are able to enter the wall/ceiling in 3F Radio Cabin. FIXED – Gap between two walls in 2F Meeting Room. FIXED – Pipes interfere with Kapkan’s EDD. FIXED – For defenders, the out of bounds deadzone does not reach the end of the map in front of the plane. FIXED – Drones are able to pass through some wooden ceilings. FIXED – Drones are able to clip into the wall of the library. FIXED – Players are able to glitch into the wall of 1F Kitchen. FIXED – Operators’ legs will clip through a reinforced window if they go prone on the bed in Master Bedroom. FIXED – Missing texture in 1F Library Stairs allows shooting from under the stairs. FIXED – Deployable shields can be exploited to vault into the fireplace in 2F Master Bedroom. FIXED – Pipes in B Main Garage Entrance are vaultable. FIXED – Flickering textures can be seen on the wall separating 1F Dining Room and 1F Great Room. FIXED – Couches disappear when viewed from a distance. FIXED – Edge of some rooftops did not meet the wall, and allows Attackers to see inside. FIXED – Missing collision enables players to shoot from 2F Armory Corridor into 1F Meeting Hall Entrance through an indestructible floor/ceiling. FIXED – Small gaps between the sandbags allow bullets to pass through in 1F Meeting Hall/Outside. FIXED – Using a Deployable Shield, Operators are able to vault into bunk beds. FIXED – Clipping issues when Operators go prone in Attic. FIXED – Players are able to destroy the floor in 2F Fireplace Hall and shoot enemies without being seen. FIXED – Missing collision between two walls that allows bullets and gadgets to pass through at 2F Reading Room and 2F Pillar Dining Room. FIXED – Drones do not encounter the proper collision when encountering the walls in 3F Cocktail Lounge Entrance. FIXED – Small gaps exist between the reinforced wall and an unbreakable wall in 3F Poker Room. FIXED – Drones are able to float on water in 2F Sub Room. FIXED – Decal on the table can be seen after it is shot by a player. FIXED – Flickering texture on metal wall in 2F Engine Utility. FIXED – Drones do not have collision with the miniature model in 3F Lounge. FIXED – Light bleeds inside from 1F Engine Hallway. FIXED – Boxes in 1F Supply Room can be vaulted through. FIXED – Players do not receive damage from Nitro Cells placed on the North wall in 2F Offices. FIXED – Floating wall textures can be seen after walls have been destroyed. FIXED – Operators can remain stuck in vehicles if a player vaults over one while sprinting. FIXED – Part of the Breakroom wall has no collision. FIXED – Boxes in the Supply Room are vaultable. FIXED – Players are able to plant the defuser outside of the objective area. FIXED – Invisible wall is present on top of the red vehicle in EXT Vehicle Customs. FIXED – Windows do not have proper collision with drones. FIXED – Destroying the coat rack will leave the hangers suspended in mid-air. FIXED – By going from the prone to standing, players are able to clip through the wall in 2F Kids Room. FIXED – Objects on the wall near the soap apartments float in mid-air if the whole wall is destroyed. FIXED – Small gap between reinforced walls in 2F Upper Hallway allows bullets and gadgets to pass through. FIXED – Vaulting over a Deployable Shield in the garage allows players to enter the boat. FIXED – When reinforced, there is a gap between the walls at 2F Workshop, which allows bullets to pass through.